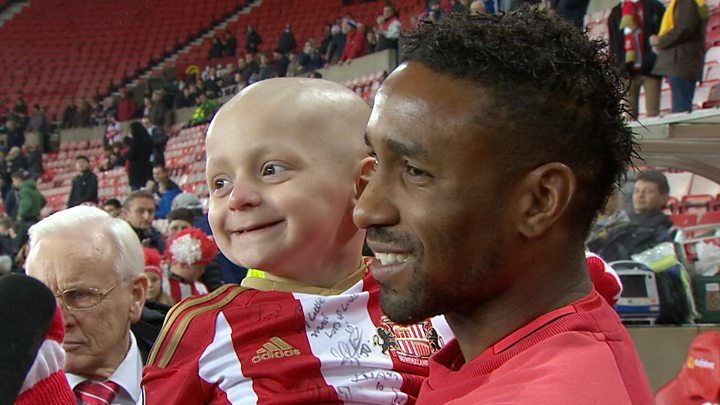 A seriously ill five-year-old boy who took to the pitch for his beloved Sunderland has won Match of the Day's Goal of the Month award. 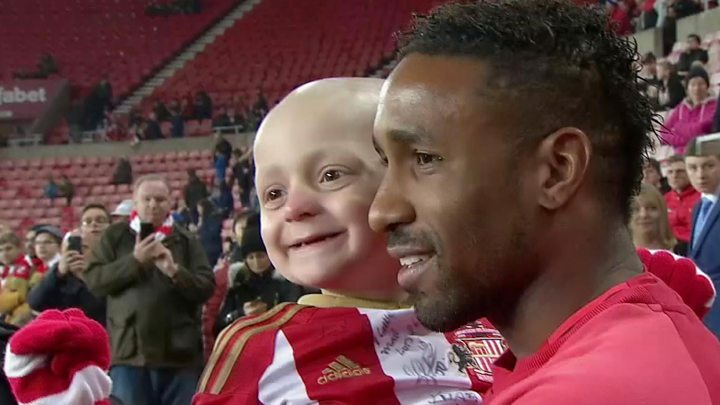 Bradley Lowery, who has neuroblastoma, took part in the warm-up against Chelsea on 14 December, scoring a goal. A campaign saw fans call for the strike to be given the accolade. The youngster, of Blackhall, County Durham, was named joint-winner alongside Manchester United's Henrikh Mkhitaryan. Bradley's mum, Gemma, tweeted: "Brad just woke up and watched #MOTD2 and found out he got #goalofthemonth - he is over the moon." Eight goals were selected for a public vote with Mkhitaryan's effort - also against Sunderland, on 26 December - notching up 39.9%. While not included in that selection, Bradley's goal was named joint-winner of the prize for December. He was diagnosed with cancer in 2013 and last year more than £700,000 was raised to pay for treatment in the USA, including a donation of £200,000 from Everton. However, his family were later told his cancer had grown and treatment would only give him more time. After his story made headlines, he was sent more than 250,000 Christmas cards by well-wishers from across the globe.